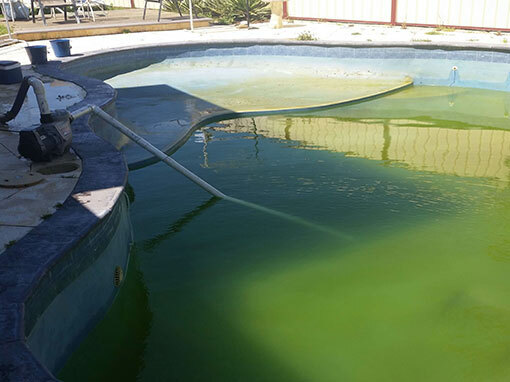 Does your concrete pool look like this? 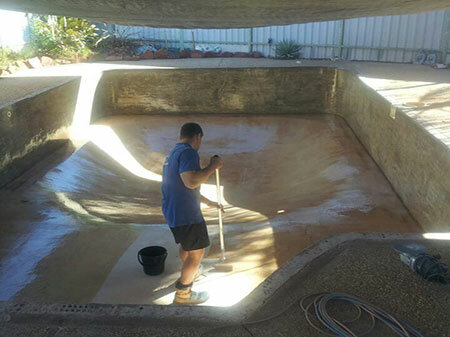 Perth Pool Co. is Western Australia’s leading professionals in concrete pool restorations. 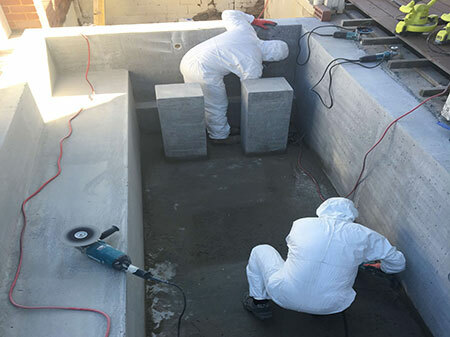 Using AQUAGUARD™ Fibretech technology a concrete pool can be converted into fibreglass eliminating the problems of cracking, fading and abrasiveness. 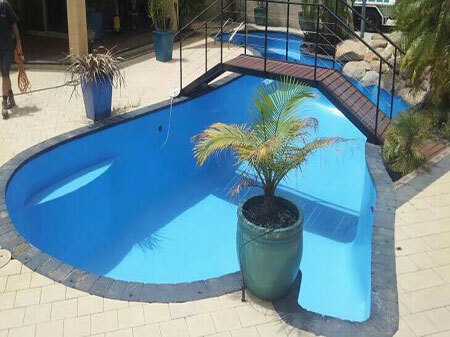 With many advantages over concrete, a new laminated fibreglass shell will not only prove cost effective long term but add new life and modern appeal to your swimming pool. Not to mention make it up to 2 degrees warmer! Prior to grinding, a large tarp is erected over the pool to assist with containing dust and fibres. This helps to ensure a clean and safe work site. The pool is then emptied and prepared for grinding off the old plaster and flaking paint. It is then Diamond Key cut. Keying in fibreglass to concrete is critical and must be done correctly. The use of these techniques provide a strong bonding surface, which in turn creates a long lasting finish and extended life to the new shell. A Derakane Primer layer is applied over the freshly ground surface. 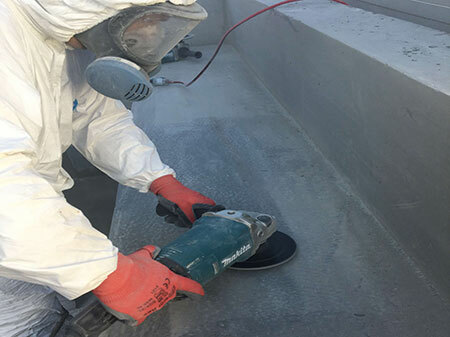 This primer is exclusively used for concrete pools as it penetrates the concrete enhancing the strength of the next layer. A reinforced fibreglass laminate is then applied and bonded to the Derakane layer creating a robust fibreglass shell. Once the fibreglass has fully cured a Vinyl Ester Fill Coat is applied. Fill Coat must be applied correctly to ensure any small holes or imperfections possibly left after the fibreglass layer are removed. Once the Fill Coat has cured this layer will be lightly ground back to remove any imperfections in preparation for the Top Coat. The Top Coat contains pigments and Styrene Wax which when applied carefully and under controlled conditions, will protect the colour from fading. 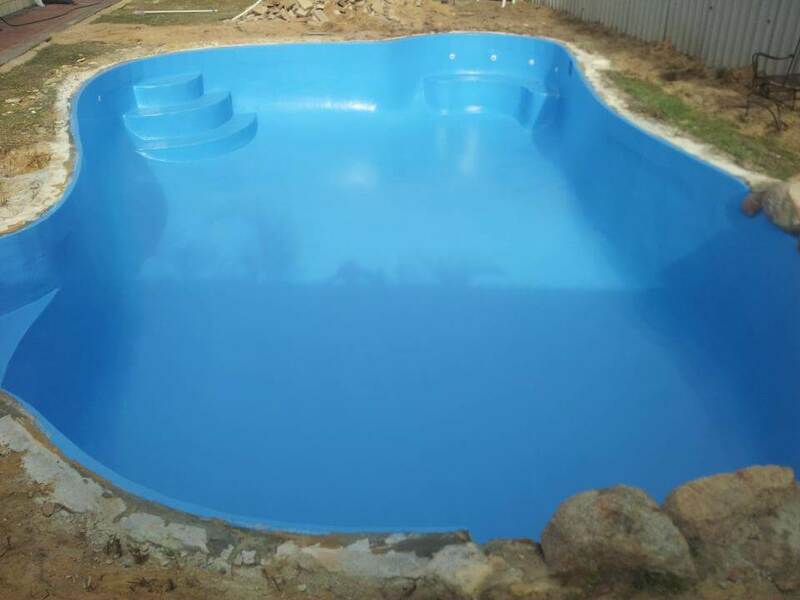 This coat also contains a colourful, decorative and protective barrier for your swimming pool. The result.. A spectacular pool with superior quality!